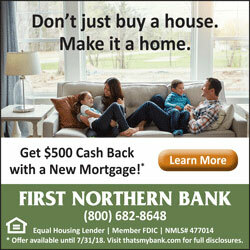 Google Display Network Client-Beasley Direct and Online Marketing, Inc.
First Northern Bank is the Sacramento Region’s local leader in small-business and customer mortgage lending. We were tasked with greatly expanding the new mortgage loan business. We did the copy writing, design and programming on a set of unique landing pages, and then we launched ads on the Google Display Network, bringing in dozens of new loan applications each month. Is your Google Display Network campaign not meeting goals? Contact us now. Get a FREE PPC Audit (learn more). Get a FREE SEO Audit (learn more). We were tasked with greatly expanding the new mortgage loan business. We did the copy writing, design and programming on a set of unique landing pages, and then we launched ads on the Google Display Network, bringing in dozens of new loan applications each month.